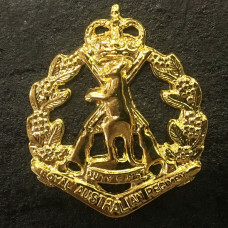 At OzSurplus, we offer a small selection of Australian Army badges, military badges and insignia, with various different badges in stock online. Collect memorable military badges and insignia to represent all your military passions and patriotism. A full range of Rising Sun badges from the very first 1902 pattern to the current model is available. 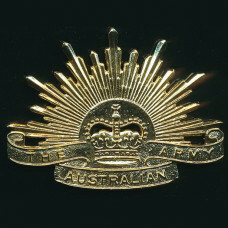 Browse through our online store and pick an Australian army badge for yourself right away! 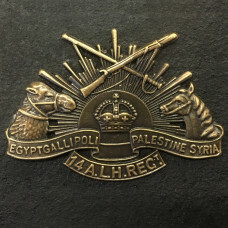 This is the badge that represents the 14th Battalion Australian Light Horse Regiment, The 14th Light.. This is the original design for the Australian ARMY's Rising Sun from 1902. This is a reproduction b.. 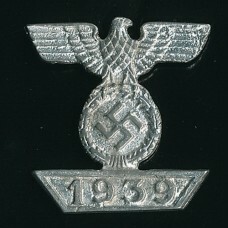 This is the 1974 General Service hat badge with the Federation star, this is a reproduction. Dimensi.. 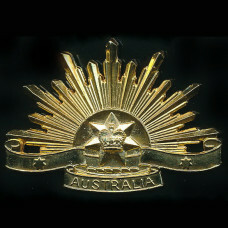 This is the current issue "Rising Sun" Hat Badge of the Australian ARMY. 58mm wide and 43mm high thi.. 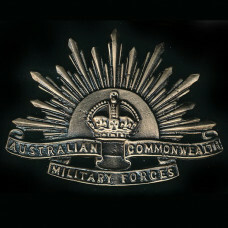 This Hat Badge was issued from 1904 (BOER WAR) until WWII to the Commonwealth Military Forces. This .. 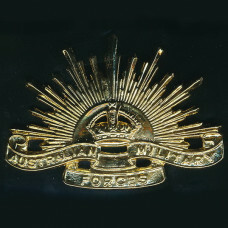 This is the Australian Military Forces Hat Badge. 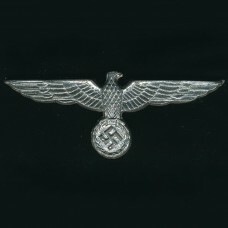 This badge is a reproduction only, but a fine repr.. 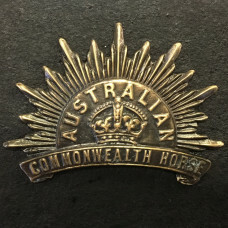 This is a reproduction badge of the Australian Commonwealth Horse Badge. It has two push pins on the.. 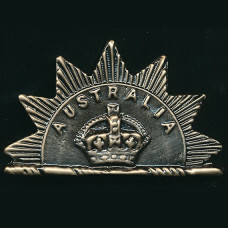 This Badge is a copy of the original badge of the "Royal Australian Regiment"Presented in a gold gil.. 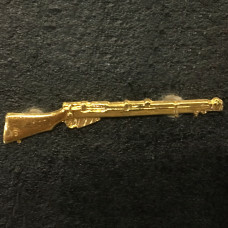 This marksman badge is awarded to the best marksman. A prestigious award to own. It represents.. 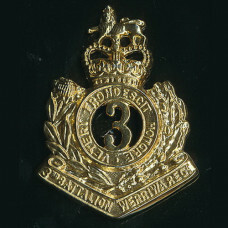 The 3rd Battalion was an infantry battalion of the Australian Army. Originally raised as part of the.. 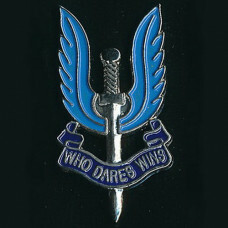 This badge is a symbol of the the Special Air Service. 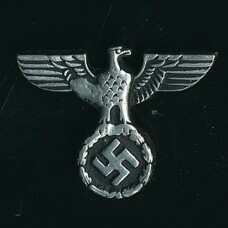 This badge is 16mm wide X 33mm high.This item.. 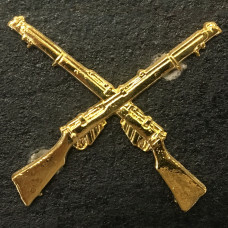 This is the single rifle badge worn by serving personell with rifleman skills. Size 60mm long X 10mm.. 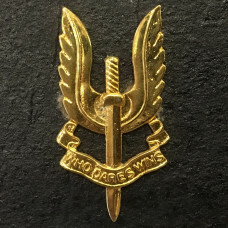 This badge is a reproduction of the symbol associated to the Australian Special Air Service. This ba.. 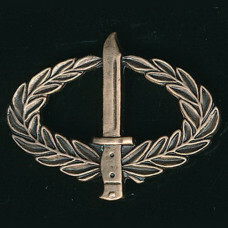 This Infantry Combat Badge is 29mm wide X 23mm high, with two push on pin clips. This is a reproduct..